Posted by Marguerite	| October 29, 2009	. The great promo packets on my Nature Sunshine site are available until the end of October. Take advantage of these great deals with this top quality company that has been around for over 35 years. 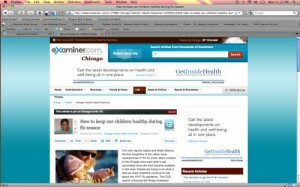 I am writer for Examiner.com now and LOVING IT! I am the Chicago Holistic Health Examiner. So excited to have another avenue to share alternative health tips and herbal remedies. Please stop by my page and subscribe if you don’t want to miss any of my articles. Let me know what topics you would like me to cover. Leave comments. October specials with Nature Sunshine. Time is running out, the month is almost over, don’t miss out.